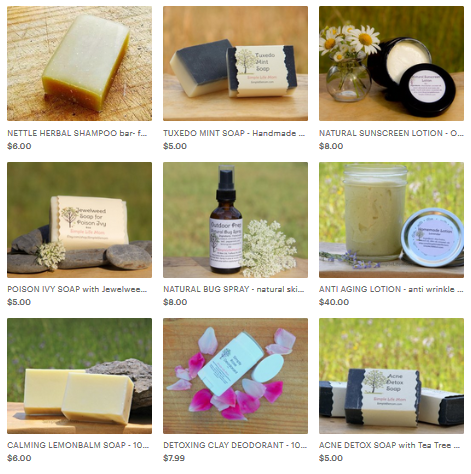 When I first started looking into making my own soaps, I could not figure out where I could buy this thing called essential oils. I finally ended up at a large craft store and came upon an isle for candle making that had a large set of oils to choose from. I was excited. You can find almost any smell imaginable in a fragrance oil. And they are super potent. But, something didn’t sit right. What are the differences between these oils? I have learned a lot over the years and have put together a Essential Oils vs Fragrance oils article to help others searching for answers. How are they making all these great smells in these little bottles of oil? Steve Herman in his article in the 2010 Fragrance and Perfumery states that the International Fragrance Association is in charge of testing these fragrances and perfumes. Within the average fragrance, there are 14 secret chemicals! Yet, here is a copy of one Chinese company’s ingredients (http://www.stephen-herman.com/Perf_Flav.pdf). We do know that these various mysterious chemicals are put in carrier oils such as soy oil (GMO), mineral oil (petroleum based), or synthetic propylene glycol. Many of the mysterious chemicals are: various alcohols, aldehydes, esters, amines, ethers, ketones, lactones, terpenes and thiones. In this day and age, it doesn’t take too long to find some reputable sources to explain these ingredients scientifically. Most are made from carbon bonded with hydrogen, oxygen, or other molecules that have been manipulated in some way or another. That is not inherently bad. The problem is when we do not know exactly which elements, compound,s or molecules are used and in what way they are processed. This is where the danger comes in. So if you read a fragrance company’s statement that their product is natural and similar to essential oils, then you need to push for more….and they won’t give it. Is the aldehyde in its simplest form (formaldehyde)? Is the product mainly made of petroleum? Now, Mr. Herman (above) believes that we are just “scientifically illiterate” and that is why we do not like these ingredients, but the fact is, that it is not healthy to put all of these chemicals onto the largest organ in our bodies. Companies exist to create money. I believe that is great. Capitalism, not socialism, is the way to go. But people need to remember that to these companies money comes first, not our health. And when many large company owners become head hanchos in the FDA, it kinda makes you wonder. Also, the idea that little amounts of harsh chemicals won’t hurt us does not take into account that we do not get exposure from that one product. We get constant exposure from food, air, furniture, etc. etc. So, the question is, why risk it when there are oils out there that are directly plant based with wholesome extraction processes? Essential oils are made from leaf, bark, flower, seed, or root oils. They should be extracted through steam distillation or compression, not solvent extraction. There are many rules good companies will follow, such as when to harvest and how. In the end, we are presented with oils that are not just wholesome, but when used properly are extremely healthy. If essential oils are healthy, then why should they only be used carefully? Essential oils are potent. Many must be diluted or they could burn your skin. They can also effect your different internal systems in a powerful way when applied to the skin or even inhaled. For example, when I was just learning about essential oils I breathed in cloves essential oils to kill the bacteria from the cough I was coming down with. It worked great! I got well so quickly. Problem is, it messed up my…womanly cycle within hours!! I realized that I needed to do a lot more research. Great thing is, there are some great resources out there to learn more about essential oils so you can use them to cure cold sores, acne, upset stomachs, headaches, sinus infections, joint pain, and on and on. I was skeptical at first, but I have seen over and over again the great effects (I should be getting paid for this, ha ha). Here’s a couple of sources (affiliate links to books I own and love): Shared on some of these great blogs. Essential oils are a little piece of heaven on earth. Anything else has crap in it that completely defeats the purpose of the oils. I rub rosemary essential oil into my temples for headaches, inhale peppermint oil to clear sinuses, and ginger for upset stomach. They’re amazing! What a highly educational post! It’s so good to mention too that a lot of people buy EO not really knowing what to do with them. I think that is why there is all the attention to ‘careful use’ because for someone who has been using them for years and years, they may not feel the need to be as careful as a newbie. I love essential oils but admit to needing to do a lot more research about each of them. I stick to about two at a time until I get a good understand of how to use them properly before indulging in more. Great post. That’s really a great way to do it. I think you would remember more by doing that way too. So sad when people think they are using a powerful oil, only to find out it is synthetic and possibly a hormone disruptor. They certainly don’t come with instructions, do they. Thanks for sharing at oil me up Wednesdays. Hope you will be back! great information. I didn’t know that essential oils could burn your skin…wow, that’s good to know because I use them when I make salt scrubs. Thanks! 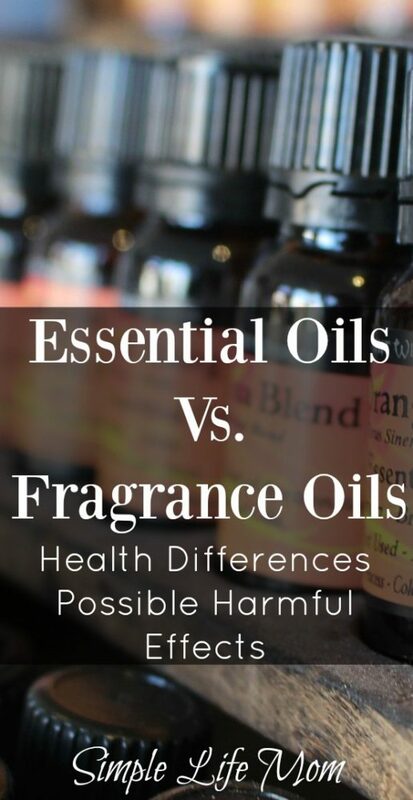 I am so glad that you clarified the important differences between fragrance oils and therapeutic essential oils for us at the Healthy, Happy, Green and Natural Party Blog Hop. This is an extremely important distinction. According to the Environmental Working Group, in many cases, these mysterious, “secret” fragrance oils are extremely toxic and harmful to health. Essential oils are definitely a better choice! Yes, I’m glad I learned that early on. There’s just so much goodness in essential oils. I love essential oils! But yes lots of research needed. Thanks! quick ? 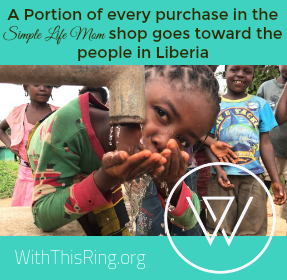 for you, my sister and I are dipping our feet into the realm of soap making, do you have any tips for buying things wholesale for a cheaper quantity price. There are a lot of people that won’t help you in finding vendors, just needing any advice. I know there is brambleberry, but it can get pretty expensive if you don’t know where to look, which I DONT :(. Any help that you could give that would be wonderful! Soap making supplies? You can get lard to render for free or some cents at your butcher. Ask for fat trimmings. Get your other oils like coconut and olive at a supermarket as well. Lye – a hardware store (pure lye crystals, no additives). Essential Oils – gnc sells now oils. They aren’t the highest quality, but they are cheaper and will get you going with pure oils. Molds – line a cardboard box even, be imaginative. I know someone who pores theirs into Pringles cans. I hope that gives you some ideas.